Biomass boilers are a good green alternative to technologies such as ground source heat pumps and solar thermal heat as they can completely replace a fossil fuel burning system. Is My Property Suitable for a Biomass Boiler? Biomass boilers are larger than their oil or gas fired counterparts so you’ll need to take that into account. You’ll also need somewhere dry to store the wood. A bag of pellets will probably weigh around 15kg, that’s about 33lb or 2 stone 5lb so if you are likely to have difficulty in lifting this weight and you are unable to store the fuel in the immediate vicinity of the boiler you will need to consider how you will fill it. If your boiler has a hopper fitted and you are using pellets or wood chips it will probably need to be filled weekly. You will need a vent which is specifically designed for wood fuel appliances. If you currently have a chimney this can fitted with a lined flue, which will be relatively inexpensive. If you live in a smokeless zone you’ll need to check with the local authority. The manufacturers have carried out tests and consulted with local authorities who have not so far prevented the use of a biomass boiler in a smokeless zone but if you do not get consent from the authority you may be committing an offence. Most inner cities are smokeless zones, if you are not sure whether your property is in one the local authority will be able to advise you. How Much Will a Biomass Boiler Cost to Install? This depends on the size and standard of the system you chose and the range is £6,500 – £12,500. It is possible for example to have a silo fitted which will be filled by the truck that delivers your fuel and which automatically feeds the boiler, so you’ll never have to fill it by hand, but this will be at the higher end of the scale. The average home should expect to pay around £9,000. How Much Heat Will a Biomass Boiler Produce? An “average” house, if there is such a thing, uses around 23,000 kWh of heat per year for heating, cooking and hot water and a 15kW biomass boiler in a reasonably well insulated home should be able to produce all of this. 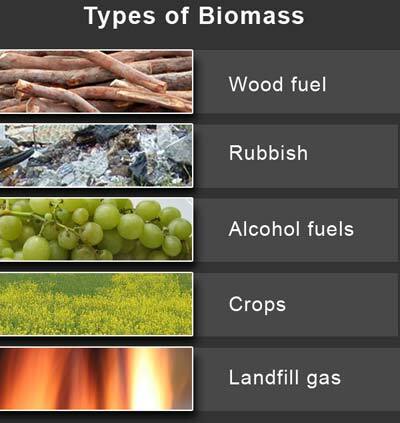 Is the Heat Produced by Biomass Boilers “Free”? Biomass boilers use wood as fuel and this of course has to be purchased. The cost will vary depending on how far the fuel has to travel to reach you but will be around £170 – £200 (plus VAT at 5%) per tonne and you can expect to use around 6 tonnes per year, so you would be paying between £1,076 – £1,260 per year inclusive of VAT. This compares to around £920 per year to fuel a gas boiler, so wood is currently more expensive (though cheaper than oil and much cheaper than electric heating). This differential is however more than made up for by the Renewable Heat Incentive payment. It is likely that gas prices will continue to rise at a greater rate than wood prices and so in the near future it is conceivable that wood will be cheaper. Could I Use Wood I Grow Myself? This is possible though it is not as straightforward as you may think. Firstly, you would need at least 1 hectare of space to grow the wood. If a hectare of poplar is planted then by the third year you should have enough wood to fuel your boiler. It will then need to be cut to the correct size and dried to the correct moisture content, which should be 30% – 34%, though if you are intending using your own fuel then you should speak to your installer first. Government grants are no longer available, having been replaced by the renewable heat incentive; however some energy companies may give grants. Your chosen installer should have the most up to date information and you are advised to check with them. There are a number of schemes being discussed but for now, if you have enough equity, you may consider increasing your current mortgage. Interest rates are very low at the moment and a mortgage, although riskier because it is secured against your property, will always be cheaper than an unsecured loan. If switching from a gas fired boiler then based on current prices you would actually pay more for your fuel, with the average home paying an additional £150 – £340 per year, so while a biomass boiler is great for the environment, on its own it is not economical. That’s why the renewable heat incentive is so important. The renewable heat incentive (RHI) is a government incentive designed to encourage people to install microgeneration systems, such as biomass boilers, in order to reduce the amount of fossil fuels consumed and so help the UK meet its CO2 emissions targets. Under the scheme, homeowners are paid for each kWh of renewable energy they produce. The rate varies depending on the type of technology used, with the greenest technologies receiving the highest rate. The rate for biomass boilers is 9p per kWh. The scheme is still in the pilot stage and the details have yet to be clarified however it is envisaged that the payments will be based on estimated rather than metered use. The total amount of energy that your home should use in a year will be calculated based on size and number of occupants etc. What will not be taken into account is how well or poorly insulated, and generally energy efficient, your home is. Instead, a minimum standard will be presumed. The point of this is to encourage people to become energy efficient, and thus get more from the scheme. The average home is said to use around 23,000 kWh of heat per year, so if this were used as the estimate then the annual incentive payment would be around £2,070. Assuming the government do decide to go ahead with the incentive, it is due to commence on 01 April 2011 and in the case of biomass boilers will be paid for 15 years. Is Installing a Biomass Boiler Cost Effective? Thanks to the renewable heat incentive the answer is yes. If switching from a gas fired boiler the average household should expect to pay between £150 – £340 more per annum for fuel, but receive an incentive payment of around £2,070, this leaves a net annual profit, even based on the high end of the increased fuel price estimate, of £1,730. Obviously the system has to be paid for and with typical installation costs of around £9,000 it should have paid for itself in a little over 5 years. Over the 15 years that the renewable heat incentive is paid therefore you could reasonably expect to make a net profit on your original investment of £16,950 – i.e. £31,050 in incentive payments less £5,100 in additional fuel costs less £9,000 for the installation cost. It’s fair to say that once the incentive payment comes to an end then based on today’s prices you would start to make a loss and may eventually make an overall net loss however in reality the price of gas is likely to continue rise at a rate greater than inflation and as use of biomass fuel becomes more common and more producers enter the market it will probably fall in price, so actually in 15 years time it is likely that biomass fuel will be cheaper than gas. If you are in a smokeless zone you will need to check with the local authority as to whether using a biomass boiler would breach regulations. What Maintenance do Biomass Boilers Need? As well as being filled up regularly with fuel and periodically emptying the ash collector, like any boiler a regular, perhaps annual, maintenance check is recommended to ensure that it is operating at maximum efficiency. How Long Do Biomass Boilers Last? A biomass boiler works on the same basic principles as oil or gas fired boiler and should therefore have a similar life expectancy.